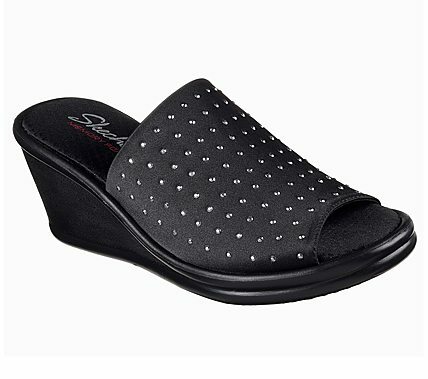 Sparkling seasonal style comes with amazing comfort in the SKECHERS Rumblers sandal. Soft stretch fabric upper in a wedge heeled one band slide sandal with rhinestud trim detailing. Memory Foam footbed for added comfort.